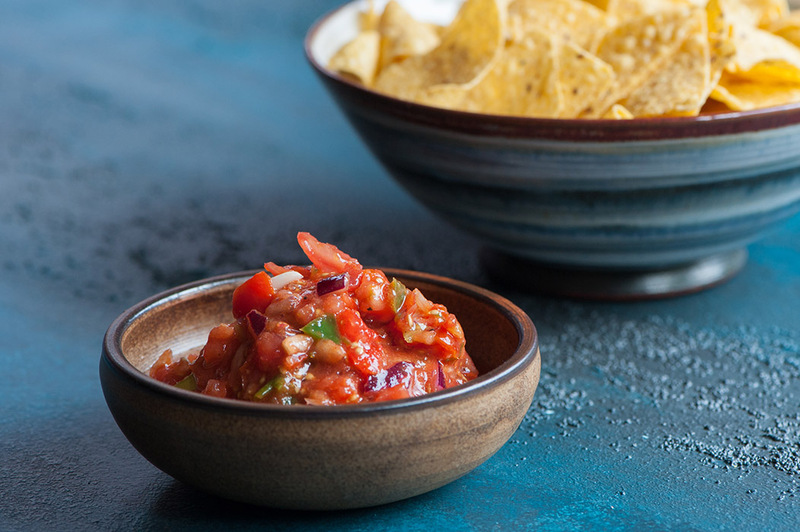 Every time we serve this lively fresh tomato salsa, it disappears in a flash! Excellent for when friends come round and you need to produce a quick snack or appetiser. 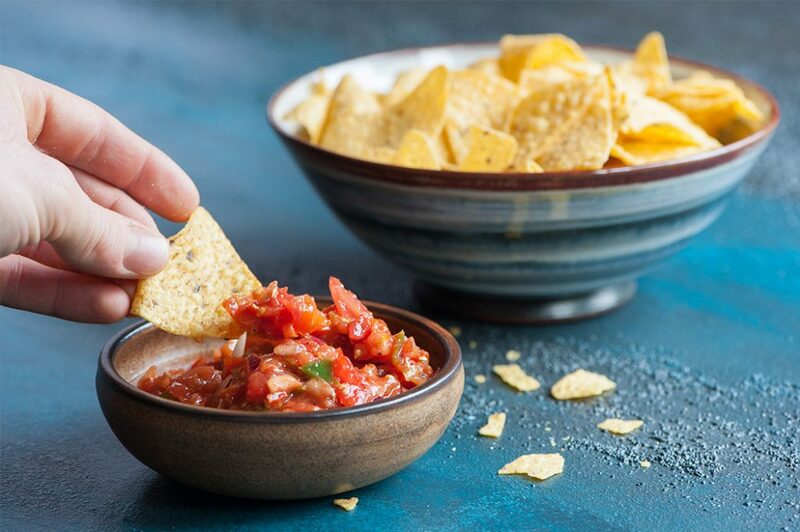 It only takes a few minutes to make in your Thermomix and can be served as a dip for tortilla chips with some sour cream on the side. It’s also a wonderful addition to sauces and stews for extra flavour. This recipe is suitable for Thermomix TM5 and TM31. Chop chilli 3 sec/speed 7. Add onion and spring onion, chop 5 sec/speed 4.5, then scrape down sides of TM bowl with spatula. Add tomatoes, tomato purée, lime juice, salt, pepper then chop 15 sec/speed 4. Stir in 100-150 g finely diced mango for a delicious fruity twist.